Here at Camuso CPA, we offer cryptocurrency tax help in Charlotte. Cryptocurrencies are a new monetary medium that are taking the world by storm, and are becoming more widely accepted each and every day. Unfortunately, come tax season, that can leave earners in the dark with how to report income from this new currency medium. That is where we come in! We have the knowledge base and experience necessary to navigate the tricky tax regulations for cryptocurrencies. For more information, feel free to give us a call. 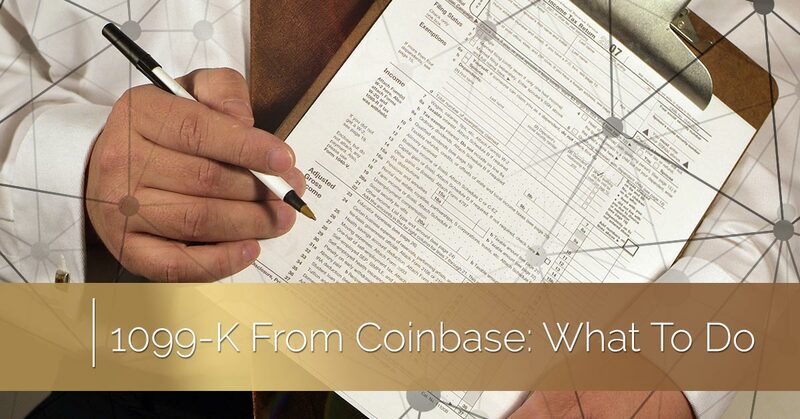 In the meantime, we’ll go over your 1099-K from Coinbase, and what to do with it. A 1099-K is a form used for tax purposes to report both credit card and other third party payments that you received during the last tax year. Any third party payments made for over 20,000 dollars, or that has made 200 or more transactions, must legally be reported on a 1099-K. If you have been using the cryptocurrency market Coinbase, they should send you a 1099-K once you meet those requirements. Your 1099-K doesn’t include all pertinent tax information. For instance, the gross amount reported does not include adjustments, gains, or losses that may need to be reported to the IRS. Put another way, the 1099-K lists the dollar amount and date of each cryptocurrency transaction. Because it only lists these totals, it cannot be used to determine how much you will need to pay in capital gains taxes. What is I didn’t get a 1099-K from Coinbase? If you did not meet the requirements listed above, then Coinbase did not send a 1099-K. However, this does not mean that you do not have to report your capital games come tax season. Any and all cryptocurrency investments, as well as the spending of cryptocurrencies on goods and services, are subject to taxation. To report cryptocurrency, you need to figure out your cost basis, which is the amount you paid for the cryptocurrency when you purchased it. Like almost all capital assets, the tax rate depends both on the price you acquired and sold your cryptocurrency for, but also the time that elapsed between buying and selling, and the changes in the cryptocurrency value during that time. While some investors do try to do their own cryptocurrency taxes, the regulations are still being worked on, and are constantly changing. This can create problems with your taxes, and nobody wants to deal with problems when it comes to the IRS. Instead, you can hire out to a professional CPA who specializes in cryptocurrencies, like you’ll find here at Camuso CPA. Want cryptocurrency tax help in Charlotte? We can help! Please feel free to give us a call at your earliest convenience for more information about how our tax services can benefit you. We offer many other CPA services for you to take advantage of as well. One of our friendly and knowledgeable representatives will be happy to answer any questions that you may have.